A Division Bench of the Kerala High Court comprising of Justices K.T. 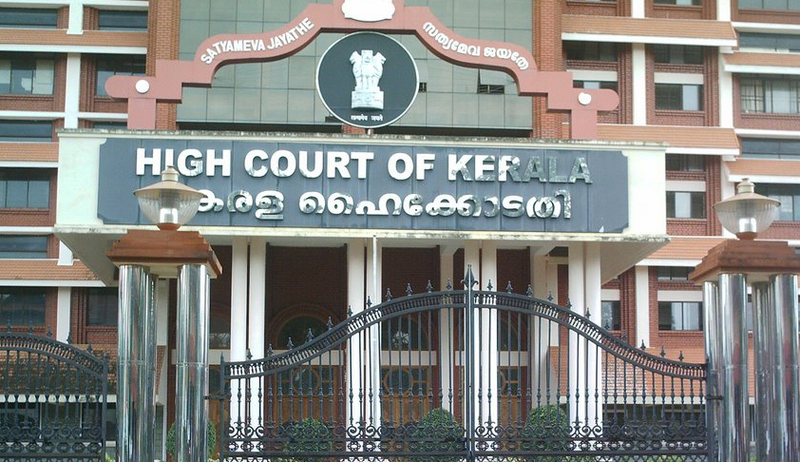 Sankaran and Babu Mathew P. Joseph delivered a judgment on 31st March, 2015 upholding the constitutional validity of the State Government's Liquor Policy framed last year confining bar licences only to five star hotels and banning other category of bars. The batch of 124 appeals that led to this judgment was filed by the affected Bar owners against a Single Judge Order that was delivered on 30th October, 2014. Justice K Surendra Mohan who heard the matter had substantially upheld the Liquor Policy with certain modifications to the extent of exempting the four star and heritage category hotels from the purview of ban. The ground for such a modification was that allowing only five star hotels to run bars and preventing four star hotels from doing so was in violation of Article 14 of the Constitution as it is discriminatory and arbitrary. However, the Division Bench in this judgment upheld the Government’s Liquor Policy confining the right to sell liquor only to five start hotel bars as per the original Policy thereby setting aside the Single Judge’s Order. The court observed that, “Equating four-star and five star hotels was illegal as the yardsticks to their classification are different”. In reply to the appellant’s contention that the Policy was in violation of their fundamental rights, the court held that neither the sale nor consumption of liquor falls under the category of fundamental rights and the State has the authority and duty to frame any policy to restrict the sale of liquor and reduce its consumption levels. The court observed, “There is nothing offensive in the policy affecting fundamental rights”. Apart from that, the court recognised the importance of the Directive Principles of State Policy under Part 1V of the Constitution by stating that it is the duty of the State under Article 47 to prohibit the usage and consumption of intoxicating drinks and drugs which are injurious to health. The court held that public health is the primary duty of the state. One of the major arguments of the appellants that tourism and economy of the State will be affected by this policy was out rightly rejected by the court in the following words: “Tourism cannot be the only motive of any policy, welfare and health of people is equally important. The promotion of tourism cannot translate into promotion of liquor." The judges also relied on a scientific report by a one-man Commission on consumption of liquor in the State to uphold the Policy. As a consequence of this landmark judgment, around 300 bars in the State will now close down with immediate effect. However, these bars can apply for the license of continuing as beer and wine parlours along with the other 418 bars that were closed last year, immediately after the announcement of the Liquor Policy. In light of this judgment, the State Government can let a sigh of relief after all the setbacks it had to face last year. Firstly, on September 10th, 2014, a Supreme Court bench comprising of Justices A. R. Dave and U. U. Lalit had heard a plea of aggrieved owners of two and three star bar hotels in Kerala. During the hearing, the judges commented that there was no logic in the State’s Liquor Policy in the following words: “Going by your policy, a rich guy can drink but a poor chap cannot”. Secondly, in December 2014, the Government had to partially modify its Liquor Policy by allowing the closed down bars to operate as beer and wine parlours and by lifting the dry day prohibition for Sundays in the wake of protests from all the quarters and reports that the new Policy had led to loss of employment for a huge number of employees in the hotel industry. Even though the State Government has received a positive judgment from the High Court, the fate of this issue is yet to be conclusively decided. According to the Kerala Bar Hotel Owners Association President Raj Kumar Unni, "Today, the High Court upheld the Government's arguments and hence, we have the next option to approach the Supreme Court. We will be doing it at the earliest".